I'm glad. It looks wonderful! It looks perfect for me!! You made up well, too. 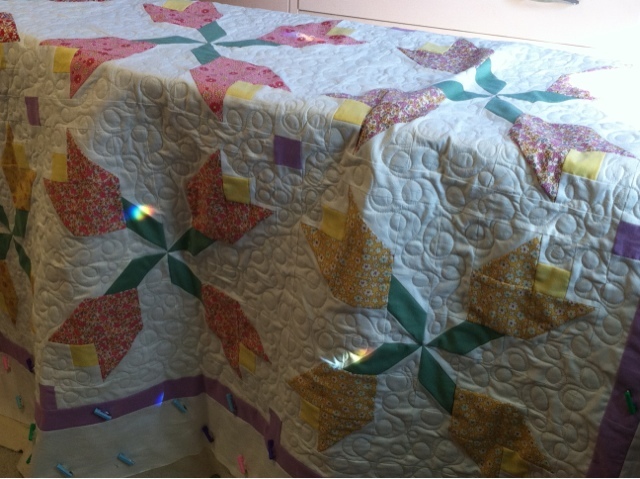 Nice quilt and quilting. It's looking lovely Amy. By not quilting your tulips they stand out beautifully. great!!! and it is looking beautiful...will you quilt the flowers?